Home / Safety, Police, Legal Issues / Prague is becoming a safer city every year. The tourists also know it, and their numbers are increasing. Prague is becoming a safe destination for tourists and a safe place to live. Statistics show steadily decreasing levels of criminality. No terrorist attack has taken place there, unlike other European cities, where the number of such acts is increasingly being seen. Over 7 million tourists visited Prague during last year, and that says a lot about public safety. The crime rate in Prague for 2016, and in the previous year, was the lowest since 1991. Compared to 2015, the level decreased another 12%. Really impressive is the decrease in violent crimes: in 2016 there were only 20 homicides, while in 2015 the total was 24. The number of armed robberies decreased to the current level of 234 incidents, compared with nearly 2000 in the 1990s. This is really an impressive result. In 2016 there were 56,432 crimes, a number which is 12% lower than in 2015. Of course, the rate most perceived by the public is the violent crime rate, even though compared to the total number of crimes it forms only an insignificant part. “Violent crime in Prague is not significant in comparison with the average level in the whole country. 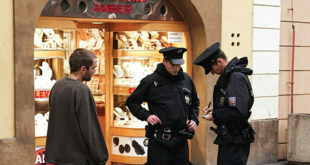 In Prague the violent crimes (1555 incidents) make up only 3 percent of all the crimes, while in the whole Czech Republic it makes up 7 percent,” says Ivan Smekal, the chief deputy of the Prague police department. The largest number of murders occur at home, and the victims are usually relatives or friends of the perpetrator. 155 criminal acts happen in the area of the city every day. The biggest part consists of petty crime, frauds, burglaries and car thefts. Simple thefts account for 27 thousand cases, which is 48 percent of all the crime reported. Only 12 percent of it is accounted for by burglaries. The police solved 6866 of such cases, which is 357 cases less than in 2015. For a few decades the most annoying crime has been pickpocketing. After all these years, women in Prague have got used to carrying their handbags across the shoulder or putting them in their lap in public transport, and only an adventurer would stick his wallet into a backpack now. The most frequent victims are tourists. “There have been over 7000 reported cases of pickpocketing in 2016, which makes it over 13% of all crime,” says Ivan Smekal. 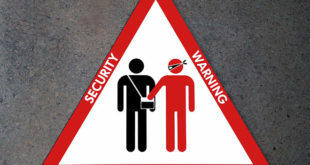 Victims of pickpocketing are mainly tourists. 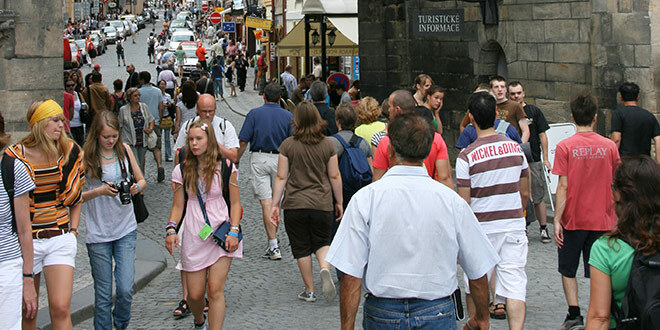 60 percent of all pickpocketing in the Czech Republic occurs in Prague. The pickpockets are attracted to Prague mainly because of tourists – 7 million people visited Prague in 2016. A large amount of pickpocketing is done by big gangs that operate across the whole of Europe. The fame of gypsy child pickpocket gangs from the 1990s is gone. The competition is merciless. Pickpockets often come from various countries and they rob tourists in other European cities as well. “They wander around Europe. We know them from Vienna, Munich, Barcelona, Berlin and Warsaw. They stay wherever they are having an easy job,” Smekal says. Since 2003 the number of pickpocketing incidents in Prague did not drop under 7000 annually. Last year though, the decrease was remarkable, from 8309 cases in 2015 to 7292 cases in 2016. Smekal says that the fight against pickpockets is one of the priorities of the current year. Which places are critical in Prague? The pickpockets hang about in the triangle between Wenceslaus Square – Old Town Square – Charles Bridge, and they also operate around Prague castle. Fortunately, since entrance checks started, due to the terrorist attack threat, the pickpockets have had a much harder job. The street Ve Smeckach is a centre of sexual services, and even Wenceslaus Square is not spotless. A very unpleasant environment can be found around Andel, where “weird people” tend to assimilate, despite the efforts of police. These people beg, threaten and irritate citizens, and that can easily evolve into a conflict. A similar atmosphere is at Florenc in the evening and in the night, especially in the area around the street Za Poricskou branou, where you can find not only dealers, but also prostitutes and beggars. Smaller places with an unsightly atmosphere can also be found in some other areas, but their numbers are not significant. Changes of environment also help to lower crime and other negative phenomena. The main train station used to be an infamous example of an unsafe place, but after the reconstruction, the atmosphere there changed rapidly. The amount of crime decreased significantly – only 60 crimes happened there last year, which is very much less than the occurrence in the surrounding areas. Revitalization of the street Za Poricskou branou is planned, so we can also hope for a change there soon. Even the situation on Wenceslaus Square should improve, since a massive revitalization is planned. But of course the revitalization and change of environment is not a solution to all problems, as we can demonstrate with the situation around Andel, where conflicts with police keep occurring. The worst example is one of a junkie who was terrorizing his surroundings. A conflict occurred when police intervened. Unfortunately, the police were then accused of human rights violations. Where are there peace oases? The exception is Jizni Mesto, which has its specifics from the very beginning, and crime is higher there. Prague, and actually the whole Czech Republic, is considered a very safe destination, which is visible with growing tourism numbers. Tourists still do not like two things, though – cab drivers and pickpockets. Prague’s authorities are struggling with cab drivers all the time. The number who rob their customers is decreasing continually, also thanks to targeted pressure from city police. In 2016 the police checked the cab drivers in 48,285 cases and they discovered 3194 transgressions and other offences. 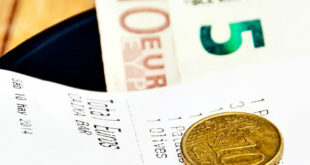 They imposed 2354 tickets for a total amount of 942,550 CZK. Other offences and transgressions were handled by other authorities. Tourists should avoid catching cabs in popularly frequented places, but should order one from a professional agency instead. The pickpockets are a more complicated problem, but the number of their attacks is constantly decreasing. Nowadays it is below 8000 cases yearly. In 2016, Prague was visited by more than 7 million visitors for the first time. This is a statistic that is based on the data from hotels and b’n’bs. It is also interesting that the number of native Czech people who visited Prague also increased. Can Prague become a target for terrorism? Prague is a safe city, not only from the perspective of decreasing crime, but it is also remarkable that in the times when a terrorist attack happens almost every week in one of the other European cities, nobody is speaking of Prague. The experts are saying that there will come a day when the Czech Republic may become a target for Islamic terrorist activity. The Ministry of the Interior and police do not administer documents to illegal immigrants without thorough checks, following current laws – first the immigrants have to stay in a designated institution, and no free movement without documents is allowed. The city surveillance system plays a big part in lowering crime and ensuring safety in the city. According to the data from municipal authorities, there are 924 video cameras in the streets, and the videos are streamed to 72 monitoring stations. Some of these monitoring devices are administrated by the police, while others are used for organizing the public mass transit system. The effect on lowering crime and solving cases is evaluated regularly, and it is proven that even installation of the surveillance cameras has a positive effect on decreasing crime. Cameras help to catch criminals, either directly or based on the recorded evidence. The city surveillance system is also used in areas where drug dealers operate.